Diesel injection pumps, diesel injectors, diesel fuel pumps, turbochargers, diesel trucks all at First Diesel Injection LTD. Welcome to First Diesel Injection. 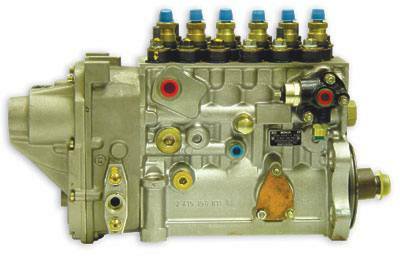 We are a major player in the testing and rebuilding of fuel injection and charged air equipment of all types. Injection pumps, injectors, turbochargers, superchargers, electronic pumps and injectors, gas injectors and more, for all applications, heavy and light trucks, vans, agricultural and industrial equipment, gen-sets marine applications and diesel cars. Our comprehensive diagnostic drive-in facility can also troubleshoot your diesel engine faults. We have the equipment and the know how! As a Delphi distributor we carry a comprehensive range of engine products for diesel trucks and vans. We are also a Stanadyne distributor and we market the world famous 'performance formula' diesel fuel conditioner. We do gas injectors too! We have state of the art equipment for ultrasonic cleaning and flow testing. 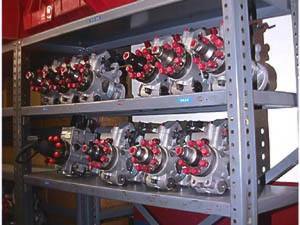 We carry an enormous stock of rebuilt and exchange units and we ship our products worldwide. We are proud to be an authorized fuel injection rebuilder and an ADS (Association of Diesel Specialists) member. Our factory trained 'Master Diesel Technicians' have a wealth of knowledge and experience in the testing and repair of diesel fuel injection equipment.